Dittmer Recycling residential collection involves the curbside collection of refuse from small containers into collection vehicles for transport or directly to landfills. 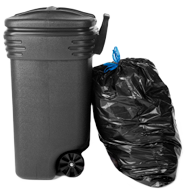 We supply our commercial and industrial collection customers with waste containers of varying sizes. We also rent compactors and waste containers to large waste generators and for use at commercial construction and home-building sites.